No, Thomas M. Sipos is neither a Communist nor a vampire, despite having family roots in Transylvania. CommunistVampires.com went online in February 2000 to promote Sipos's satirical horror novel, Vampire Nation. Since then he's published other books, scripts, articles, reviews, op-eds, blogs, etc. None of them about Communist vampires -- yet the website's name stands. It's a cool name for a horror website, no? 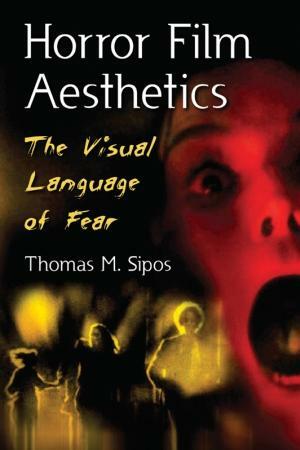 Sipos's recent books include Horror Film Aesthetics: The Visual Language of Fear (practical tips for film students and aspiring filmmakers on how to make a creative and scary horror film) and Horror Film Festivals and Awards. Sipos is also a SAG actor and film festival director. He's taught "Book Promotion for Authors" at the UCLA Writers Extension and "Haunted Houses" at The Learning Annex. He's been interviewed on over 40 radio shows, mostly about vampires, horror films, or haunted houses. He's been a panelist at several World Horror Conventions. At the 2006 WHC in San Francisco, Sipos appeared with Ringu author Koji Suzuki on a panel analyzing Japanese horror films. 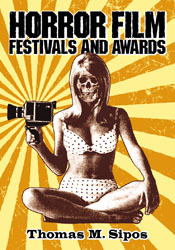 Sipos has also done volunteer work for the Los Angeles Film Festival and the David Lynch Foundation. He can be contacted by email at thomasmsipos at outlook dot com, or by snail mail at: Thomas M. Sipos, PO box 1903, Santa Monica, CA 90406-1903.